During a trip on the Spoon River Drive I saw a sign that said Rockwell Mound. 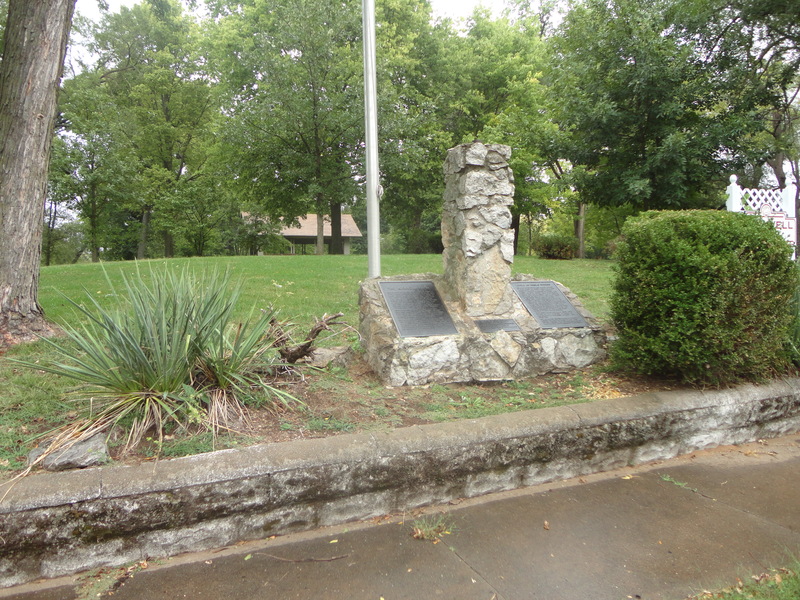 Always fascinated by historical sites, and especially Native American sites, we make a quick diverge and headed to the mound that today is the location of Rockwell Park. Standing in front of the signs I had to reflect on just who stood on this piece of ground before I arrived here today and wonder what happened at this place. The mound with its rounded hill was a place given to speeches and was even the site of a Lincoln Douglas debate, although not on the same day. Stephen Douglas spoke in Rockwell Park on August 13, 1858; then Abraham Lincoln spoke there the following day. While the hill lent itself to speeches the history of this piece of land goes back much further. According to the facts at the site, Rockwell Mound is the second largest Indian mound in the Midwest. When I think about it, this mound is not a total shock being just six miles from Dickson Mounds Museum, but still it was a surprising site for Spoon River visitors seeking bargains. This was one wonderful historic site we had not bargained for! “There are only a handful of very large mounds and this is one of the few remaining native built mounds of that age. On the Dickson Mounds property is a mound, Ogden Mound of the same age,” Mr. Wiant shared. To see artifacts of the Middle Woodland Natives, a trip to Dickson Mounds is in order if traveling in this direction. “There is a very rich recorded history in this river Valley,” Michael Wiant said. He added that while most of the artifacts have been found in farmer’s fields there is little that can still be seen of this culture and the mounds offers that visual image. The mound is called Rockwell Mound because N.J. Rockwell donated the ground to the community in 1849 the site was not confirmed as an Indian mound until 1986 when test probes showed artifacts within that dated the mound to around 150 AD. The Middle Woodland People were part of the Mound Builders. The mound is located in Havana at the north end of Orange Street. Note that the mound is located near the mouth of the Spoon River and not far from the confluence of the Illinois River. For more information, contact Dickson Mounds Museum at 309-547-3721.